What Will a Quality Reiki Class Prepare You For? And Who Can Learn? Reiki is generally taught at three levels: Reiki I, Reiki II, Reiki III (Master level), although some systems, like the one I teach, split Reiki III level into two parts, a one day Advanced Reiki Training and two-day Master Reiki class, which is most often taught as a three-day intensive. The following is a summary of what the expected class outcomes will be. Reiki I Class should provide a solid overview of the origin and history of Reiki, the nature of Reiki energy, what causes sickness, what Reiki is and how it heals. There will be a discussion of the Human Energy Field. It will include discussion and practice of Japanese healing techniques. Students will learn the complete hand placement system. Importantly, the class must include the Reiki I Placements (initiations) which enable the channeling of Reiki energies and hands-on practice for healing self and others. After initiation, the student is immediately able to transmit Reiki from their hands. The student should also be able to feel the flow of Reiki energy. Reiki II Class should provide a thorough understanding of the three Reiki II healing symbols, their meaning, their frequencies, and their uses. Additional Japanese healing techniques and meditations that balance, clear energy channels, and connect them to the unlimited flow of Reiki energy will be learned. Importantly, this class must include the Reiki II Placement/initiation and hands on practice of techniques including distant healing using all Reiki II symbols. Students try to discern the different feel of each symbol’s energy as it flows through them. 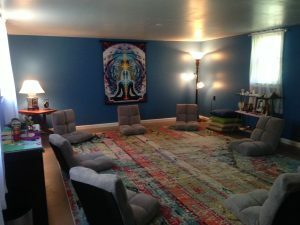 They also learn how to create sacred space and do an entire Reiki healing session from start to finish. Advanced Reiki Training/Master Reiki Class should prepare the Reiki practitioner to do the work of a Master practitioner and teacher. Those students who want advanced training and the use of the powerful Master Symbol for healing, but do not wish to teach Reiki, may take Advanced Reiki Training (ART) by itself. They will learn how to use crystals for healing and to perform Aura Clearing or Psychic Surgery. Those who want to teach Reiki will go on to the Master training to learn how to give students the Placements and Holy Fire ignitions for the appropriate levels to their future students. They are also oriented to becoming a true Reiki Master. Importantly, Placements and Ignitions (initiations) for the appropriate class level will activate all the symbols/energies required at each level. Most students will take the entire 3 day ART/Master class to be complete in their training and gain the most benefit from their practices. Karuna Reiki© Class should prepare the Reiki Master for the truly compassionate action that the word Karuna embodies. Importantly, the class provides Karuna Reiki© practitioner and Master Ignitions which activate eight Karuna symbols and two Master symbols for profoundly deeper healing on the emotional, mental and spiritual levels. Students also learn to use chanting and toning as a powerful Reiki-infused healing technique. Prerequisite is Holy Fire/Usui Master class. The initiation processes mentioned above (Attunements, Placements, and Ignitions) are deeply personal, profoundly healing experiences that awaken the student to the wisdom and love of the Higher Power. Thereafter, the development of skills and sensitivities to the application of this healing system is up to the individual practitioner through intention and attention (daily self-practice). Classes are open to Practitioners of other Reiki Styles and Traditions. Any person who has had a Reiki attunement in-person by a qualified Reiki Master is welcome to take my Holy Fire classes. Reiki Masters from other styles (who have received their attunements in-person by a qualified Reiki Master) and wish to learn and practice Holy Fire Reiki may also take my classes. However, anyone who has taken an online or read-a-book class will have to start over with a Holy Fire Reiki I & II class. Holy Fire/Usui Reiki I & II Class; Holy Fire/Usui Advanced Reiki Training (ART)/Master Class; Holy Fire Karuna Reiki© Class. ***Use the Reiki Classes pull-down menu to click on Class Schedule or the individual class level you seek for full class description, registration, and payment. A person does not learn Reiki through long years of study, fasting, meditation, or special spiritual practices. Nor do they learn by achieving high levels of enlightenment. The ability to receive and use Reiki energy is simply passed on from teacher to student through a specific initiation process during an in-person Reiki class. 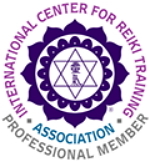 This means that a person who has learned Reiki online or from a book is not recognized as a valid, fully initiated Reiki practitioner or Master, by the international Reiki federation. As soon as the initiation takes place in a bona fide class, the student is able to use an unlimited supply of universal life force energy from the God Consciousness. So Reiki is easy to learn by anyone who takes a Reiki class and is initiated by a qualified Reiki Master. This is a life-time connection that cannot be undone, regardless of whether the student continues to practice Reiki or not. How Does One Learn Reiki? Who is the teacher (i.e. their experience practicing and teaching Reiki, their style of Reiki, their lineage)? What does the class include (i.e. system, orientation, content, hours of instruction and hands-on practice, manual, certificate)? In other words, what experience, knowledge and skills will you have when the class is over? Energetically, ask yourself, “what feels right for me?” When you find the right teacher, register for a scheduled class as soon as possible. This is the third part of manifesting your desire to learn Reiki (thought, word, deed).